Custom cut cable to suit your pedal board's layout. 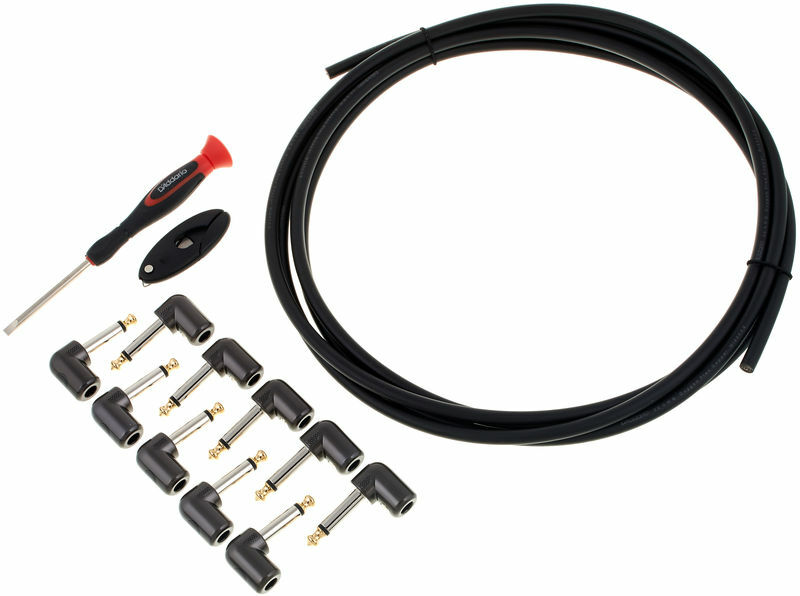 The plugs and cables in this kit are specially designed for quick and reliable assembly. Just measure, cut, screw, and you're done. Includes 10 feet of cable, 10 right-angle plugs and a mini cable cutter. 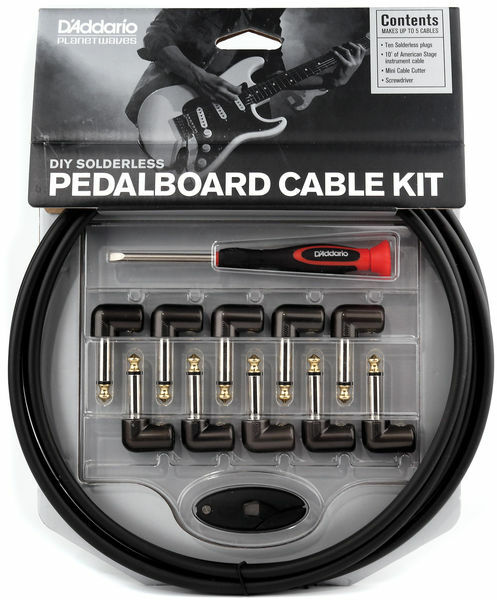 D'Addario solderless cable kits are the ultimate solution for custom wiring pedal boards, rack gear, and your entire layout from guitar to amp. Say good bye to messy, unreliable wiring and say hello to custom cut cable lengths that perfectly suit your needs. D'Addario plugs and cables provide the most accurate and reliable sound reproduction, from guitar, to amp, and all points in between. Many of D'Addario's most notable artists use the solderless cable kits as their primary pedalboard and rack wiring solution.